The Regina Pats (1-1-0-0) continue the 2018 WHL preseason on Friday night in Brandon against the Wheat Kings. 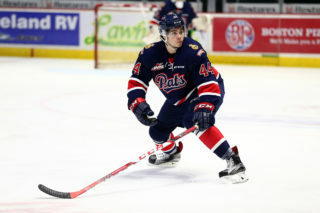 The Pats are coming off a one and one weekend at home last weekend, beating the Swift Current Broncos 4-1 Friday and then falling 4-2 to the Moose Jaw Warriors on Saturday. The Wheat Kings will be playing in their first preseason game of the year tonight. Puck drop is at 6:30 p.m. Regina time at Westoba Place. 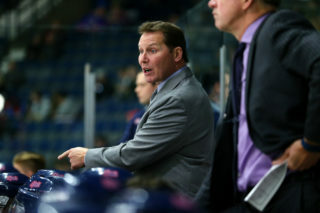 The Regina Pats dropped a 4-2 preseason decision to the Moose Jaw Warriors on Saturday night at the Brandt Centre. The Warriors jumped out to a 2-0 lead in the first on goals from Justin Almeida and Brecon Wood. Regina got one back in the second off the stick of Nikita Sedov, his first of the preseason, and it was a 2-1 game after two periods. In the third, Moose Jaw scored twice, 17 seconds apart to extend the lead to 4-1. The Pats drew to within two with a goal from Nick Henry with seven seconds left and the game ended in a 4-2 final. Nikita Sedov led the offence with a goal and assist while Max Paddock made 28 saves. Regina went oh for one on the powerplay and the penalty kill was three for three. The Pats two new import players, forward Sergei Alkhimov and defenceman Nikita Sedov have showed well through two games in the preseason. Alkhimov, the Pats first round pick in the 2018 CHL Import Draft, scored once and added an assist in his first preseason game. A 4-1 win over Swift Current last Friday. Sedov meanwhile put up a goal and an assist of his own on Saturday in the club’s 4-2 loss to Moose Jaw at the Brandt Centre. 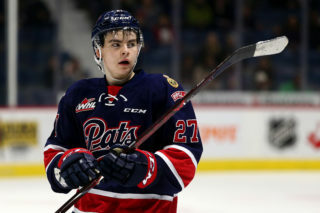 Sedov was the Pats second round pick in the 2018 CHL Import Draft. Five members of the Pats left for NHL training camps on Wednesday this week. Jake Leschyshyn (Vegas Golden Knights), Cale Fleury (Montreal Canadiens), Nick Henry (Colorado Avalanche), Robbie Holmes (Colorado Avalanche) and Max Paddock (San Jose Sharks). Leschyshyn will be taking part in his second camp with the Knights. 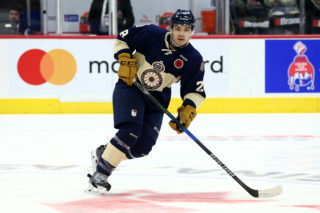 A second round pick, Leschyshyn signed a three-year entry level contract with Vegas in June of 2018. Fleury is off to his second camp with the Canadiens. 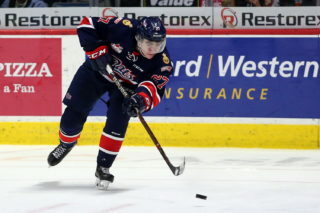 The overage defenceman was drafted in the third round of the 2017 NHL Entry Draft. Henry, a fourth round pick of the Colorado Avalanche in 2017, will play in his first training camp with the Avalanche. Robbie Holmes will be attending his first NHL training camp this week. The 19-year-old was a free agent camp invite by the Avalanche. Max Paddock is also a free agent camp invite by the San Jose Sharks.